Beaches | Isle of North Uist Beaches on North Uist and Berneray. Beaches are a huge attraction on North Uist and Berneray. Traigh Lingeigh has a huge expanse of pure white shell sand, crystal clear waters and a safe shallow sandy bay suitable for swimming and snorkelling. There are also picnic tables and benches. 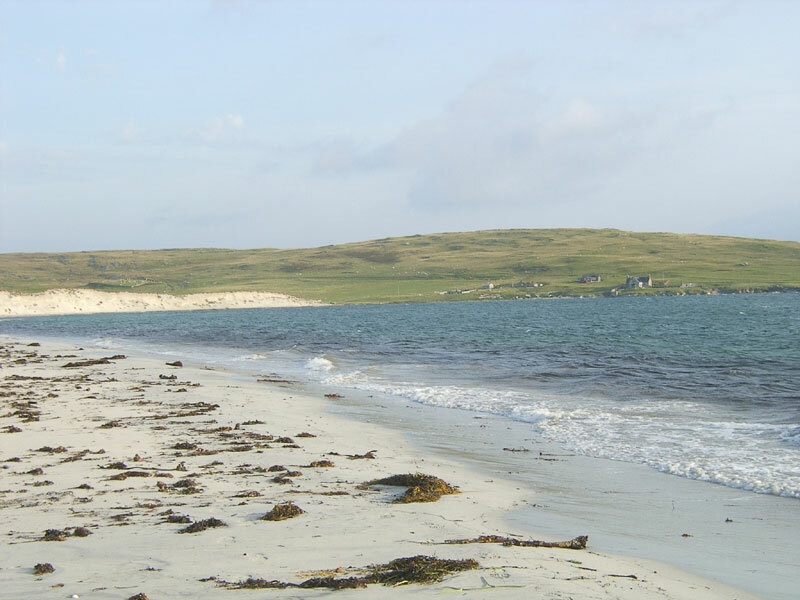 The West Beach on Berneray is a three mile stretch of wide, clean and often deserted sand. It is widely acclaimed as one of the world’s great beaches. Behind all of the beaches is the machair- green grassy plains covered in a mass of amazing wild flowers in the spring and summer.